A tale as old as time; furniture designs have always demanded to be attractive, eye-catching and ergonomically satisfactory to the end user. They also need these furniture pieces to be durable for a fairly long term and customized as per their needs. 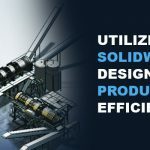 Ideally, a part library data of the Computer Aided Designing software like SolidWorks along with its inbuilt CAD customization tools should cater to the needs and deliver satisfactory designs. However, what goes beyond this point is synchronizing the sketches of initial concept designs with final 3D geometry when fabrication is next in line. How luxury furniture manufacturers benefit through CAD drafting? Currently, furniture industry in Northern American continent is considered to be the second largest luxury furniture market. It is soon expected to form the backbone, be a demand driver and trendsetter for entire furniture industry worldwide. According to a report by Technavio, luxury furniture is expected to grow up to 4% year on year from 2016 to 2019. This positions the furniture fabricators to finely blend their products to a global scale and reach their customers quickly on demand to improve their Returns on Investments. Pointing this fact for a particular case of wood and metal furniture manufacturer in USA, the lead time reduced to one day from a usual time period of 4-5 days and design cycle was observed to be accelerated by 70%. Time optimization was possible due to design automation and customization applied to 3D CAD models using SolidWorks and DriveWorks. However, the manufacturer had an advantage of readily available CAD models for design customization. It not only improved the delivery sales but also enabled quicker responses to prospective client enquiries. From an architect’s or an interior designer’s perspective; aesthetics, ergonomics and physics of furniture product sets the horizon. A product design engineer, however; will deal with the feasibility between fabrication and designs. Driving the design development faster with decreased lead time, stronger product development stage and reduced design iterations is the core aim of product design engineer. Besides product development, a design engineer develops comprehensive 2D drawing for fabrication and assembly drawings along with a solid 3D CAD model catering to BIM – Building Information Modeling requirements as well. Design validations of these drawings come from CAD modeling and drafting solutions of every furniture product, be it wooden or sheet metal furniture products. CAD drafting solutions’ extends its benefits from residential furniture to office furniture products, from museums to retail buildings and from shelters to commercial customized products to create a positive sales impact. 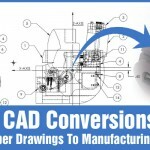 Not only the sources involved in fabrication from scratch and experimenting with innovations, but the fabricators practicing same old designs over years also need to adopt CAD means. The need to digitize their designs with CAD is driven by the fact that sheet drawings will eventually degrade over time and become difficult to read. 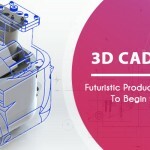 Their legacy of old 2D drafts for fabrication and assembly drawings has been taken over by 3D CAD modeling. 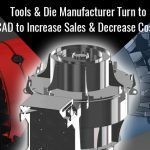 Sometimes one may run into a reluctant fabricator opposing the adoption of CAD designing and drafting, but on the path to scale up marketability & increased profits, continuing the legacy isn’t fetching any better results than what it already did. Apart from design digitization, maintaining the global competence requires to maintain uniformity across all designs. These designs need to be customized as per the geography specific needs. A design support service expertise helps in maintaining standards such as ANSI, BIFMA, BS, etc. as per the manufacturers’ requirements. Besides, CAD rendering enhances the product design and pictures on catalogue for commercialization, giving an advantage to manufacturers and vendors to adequately market their USPs. This enables the product to look alive, enables design communication with the customer, and ultimately gives a boost to sales revenue. Collectively, this drives to have better returns on investments made on human resources, innovative thinking and fabrication aspects. In a nutshell, the face of product design is taking new turns in the furniture industry but its core path remains intact. 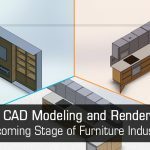 A common mindset that CAD is only for mechanical products needs to change, because the same CAD software vis-à-vis SolidWorks can definitely uplift the ROIs and boost sales for furniture industry. It will eliminate the perception of sheet drawing boards by rendering and fabrication centric design delivery.